Whether you’re having a Christmas party or you’re just wanting to amuse the kids, these printable holiday games will certainly entertain. Bonus: the supplies for most of the games are included in the free printables you’ll find in the links. The Christmas Charades, Christmas Carol Game, Holiday Charades/Pictionary Printable, Christmas Bingo, and Christmas Trivia Games look like a lot of fun. Hope these games add a lot of merry to your Christmas holiday. Kids will love these 16 Cute Christmas Party Food Ideas for Kids at your next holiday party. Serve up these 19 Festive Appetizers your holiday guests will love. Just print and cut out these free printable cards and get ready to play a fun round or two of Christmas themed charades. Friends and family will have a jolly time acting out everything from Christmas songs to winter activities. This fun game can be played in no time at all as the preparation is simple. Just print out each of the cards to act out and you’ll be all set. The cards include a range of things to act out from winter activities to movies to classic Christmas carols. There will be no end to the laughter in your home when your family members are acting out being a penguin. 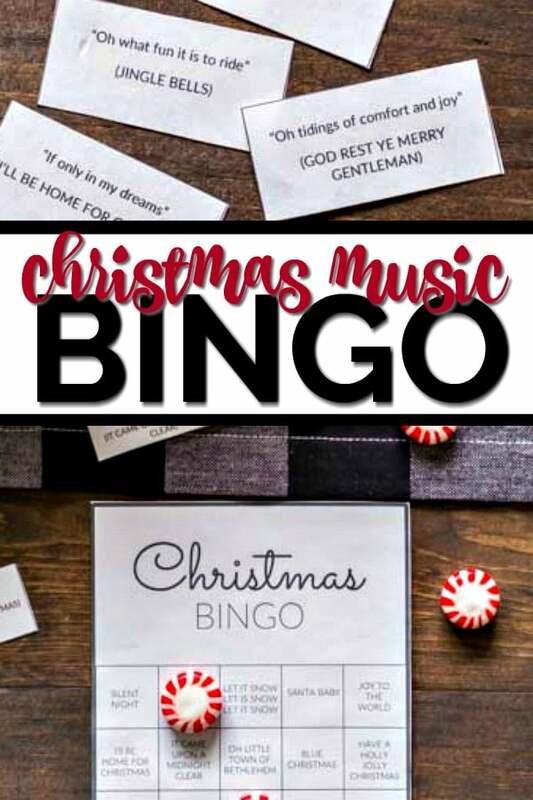 These free Christmas bingo party game includes a printable games and instructions that will have them smiling and laughing in no time. This is the type of game that anyone of any age can play. Great for parties with a mix of ages. 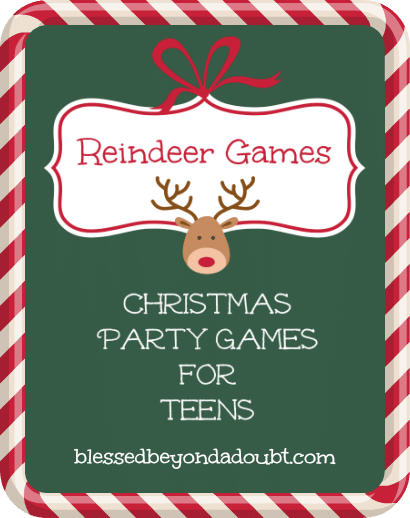 These free Christmas party ideas for teens include 5 printable games and instructions that will have them smiling and laughing in no time. My personal favorites: 12 Days of Christmas; Name that Christmas Movie; Name that Christmas Tune. Split into teams and see which team wins the most games for a fun Christmas prize! Make sure that everyone picks out their very own elf name based off of one of the activities included for some extra fun! These games involving drawing out scenes, guessing, and even some math. There’s something for everyone included. If you’re looking for something to do when it’s cold outside, this holiday game is a perfect choice! Its versatility allows you to print the free game and use it to play holiday charades or Pictionary. Think of the hilarity of watching family and friends act out the word “snow angel” or draw the word “blizzard”! Just print out the cards with the words on them and decide whether you want to act each one out or draw. It’s as simple as that! This game can be thrown together in no time. This free Christmas Bingo game puts a holiday twist on a classic party game. This is great for a large class party or a small intimate group. Print the Bingo cards and use Christmas candies for Bingo markers. Once you’ve printed the Bingo cards and the cards to call out, you’re all ready to go. Grab your favorite Christmas candy to keep track of when you’ve got a winning card. This is a fun and festive twist on a classic game that friends and family are sure to love at your next Christmas party. Stump party guests this year with a Christmas trivia game! This free printable game is easy to implement. Make sure to get a special prize for the winner of this tricky trivia game. The answers are also included for this trivia game that will be sure to challenge even the true Christmas fans. Simply print and pass these out to your guests. This will be one of the easiest party games that you’ll ever put together! Guests love a little healthy competition. Test their Christmas trivia prowess with this fun game. Get ready to see which of your friends and family are Christmas pros. Just print out the cards and start asking questions. Each card has one question and answer on it. Don’t forget to keep track of the score and get a fun gift for the most knowledgable this year. Don’t miss these great holiday ideas to add a bit of extra cheer to the season.